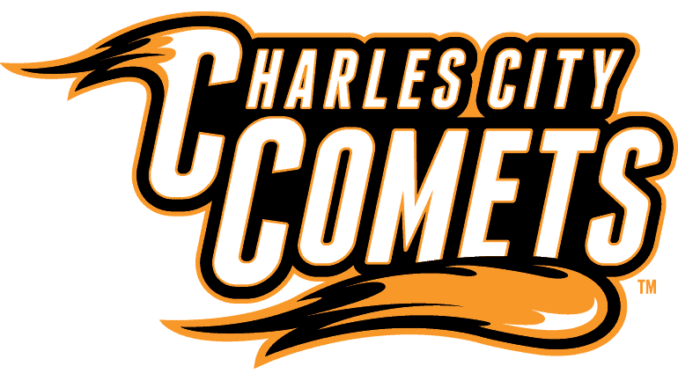 The Charles City Comet baseball team had their home game against Mason City postponed last night due to field conditions. The game has been rescheduled for June 7th. The Comet baseball team will be in action tonight on the road at MFL-Mar-Mac. The Charles City Comet softball team had their road game against Turkey Valley moved to Sportsman’s Park, so they were able to play in front of the home crowd. The Comets were once again dominant as they beat the Trojans 12-0 in three innings. Alex Litterer was the winning pitcher as she gave up just one hit on the night. Sami Heyer led the Charles City offense as she had two hits and four runs batted in including a three-run home run. Ashlyn Hoeft and Cora Crooks each had two RBI. The Comet softball team improves to 3-0 on the season and will begin Northeast Iowa Conference play tonight with a double-header at home against Crestwood. You can tune into both games right here on KCHA starting with a pre-game at 5:15 and first pitch of the first game will be at 5:30. The Nashua-Plainfield baseball team was able to win their season opener last night as they defeated West Hancock at home 11-1 in five innings. The Huskies scored one run in the second, four runs in the third and three runs in each of the fourth and fifth innings to successfully apply the mercy rule. The Nashua baseball team is now 1-0 on the season and they will have their first Top of Iowa Conference game tomorrow night at West Fork. The North Butler Bearcat baseball team hosted Osage last night in a Top of Iowa Conference game. Runs were very hard to come by as the Bearcats scored the only one of the game as they defeated the Green Devils 1-0. The North Butler baseball team starts the season at 1-0 and they will play again tonight at home against Clarksville. The Osage baseball team is 0-1 and they will next be in action tomorrow night at home against North Union. The Rockford Warrior softball team began their season with a win last night as they defeated Lake Mills 12-1 in five innings. After being held scoreless in the first two innings, the Rockford girls exploded for five runs in the third and seven runs in the fourth. The Warrior softball team is 1-0 on the season and they will have their next game tonight at home against CAL.